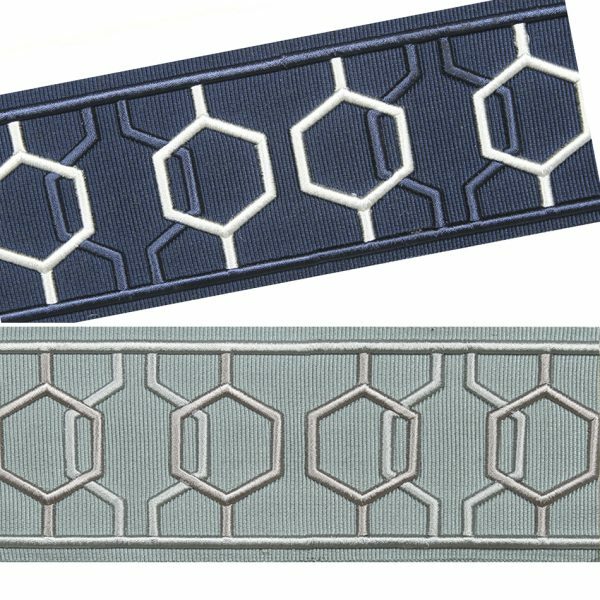 Decorative tapes with a hexagon pattern add a modern flair to window treatments, furnishings and accessories. These embellishments are simple, yet create a custom touch that will most definitely impact your design. Choose from a serene palette of colors. Available in 3-inch width.